Only one player who started in the MEAC championship game will be on the court when Norfolk State takes on NC Central. Monday’s matchup between Norfolk State and North Carolina Central is technically a rematch of the MEAC title game from last spring, but that’s only on paper. Host NCCU (7-8) has a whole new starting lineup after last year’s senior-laden team has been phased out. Coach Levelle Moton’s squad came into the season with just 11 starts, all of them via junior guard C.J. Wiggins. The squad is led on the court by redshirt senior Raasean Davis, a 6-9 big man who averages 15.2 points and 7.8 rebounds per game while shooting an impressive 67.8 percent from the field. Norfolk State has struggled much of the season, but heads to Durham on a two-game winning streak. It too has lost several key players from last year’s team, with big man Alex Long (10.2 points, 4.6 rebounds) being the primary holdover. Redshirt sophomore Steven Whitley leads the team in scoring at 11 ppg, and freshman Mastadi Pitt put up a team-high 17 points in NSU’s win over Coppin State on Wednesday. Despite the changes, these two programs have been the most consistent in the MEAC over the past few seasons. 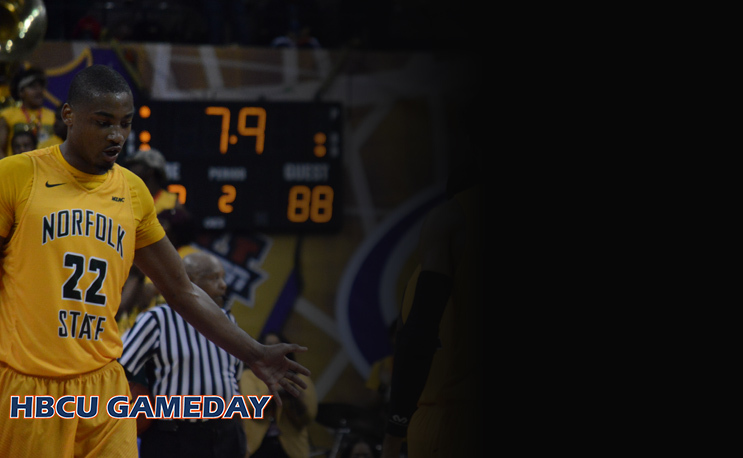 Dating back to the 2011-12 season the two teams are an identical 77-20 in conference play during the regular season, and both are 86-24 when combining the MEAC Tournament. NCCU, however, does hold the edge in overall record, going 137-74 while NSU is 123-97 during that span. Can’t wait for the MEAC’s conference schedule to begin! Going into January, the Bears, Spartans, Pirates and Aggies have to be the odds-on favorites. But watch out for the Hawks…and the Eagles are always dangerous.